Go-Kustom TV comes to you on cable channel 29/77 in the greater Seattle area. Each week hostess Lindsay Calkins interviews Musicians, Artists, Pin-Up Models, Hot Rod Builders & Kustom Kulture Enthusiasts . Additional interviews by Michael Ditmore, Betty X, D.A. Sebasstian & Perry Fulfs. 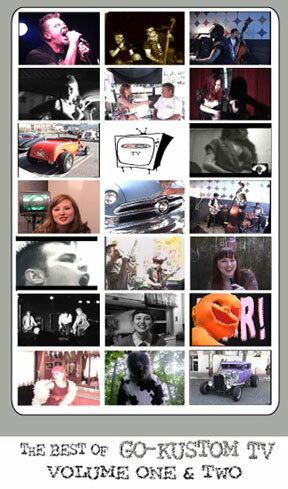 Go-Kustom TV is produced by D.A. Sebasstian. Additional camera crew- Melene Marie Brown, Justin DuPre and Shannon Dell. 59 mySQL queries in 0.323 seconds.